So I did a post on Peter "Shatner", who claims that he is William Shatner's son. And then Peter "Shatner" posted my article to his Facebook page, which got me some traffic...but also got me blocked by Bill himself on Twitter. Oh well! You know you've made it when William Shatner blocks you on Twitter. My post on The Big Dig...whatever that was. After posting on a number of Shatner appearances in 1954 and 1955 that are not viewable, we finally get to one that is. 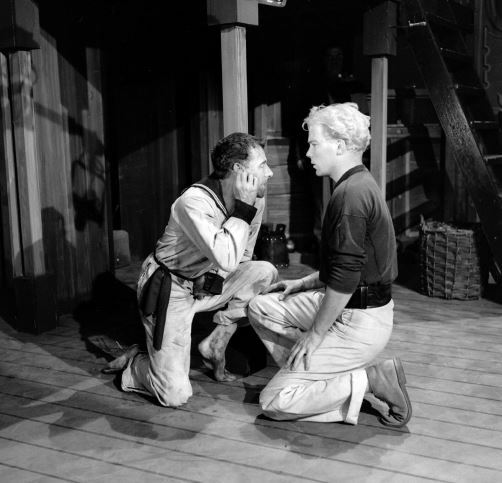 An episode of General Motors Theatre, "Billy Budd." A couple of programs that I have very little info on, but of interest to Shatnerologists nonetheless! 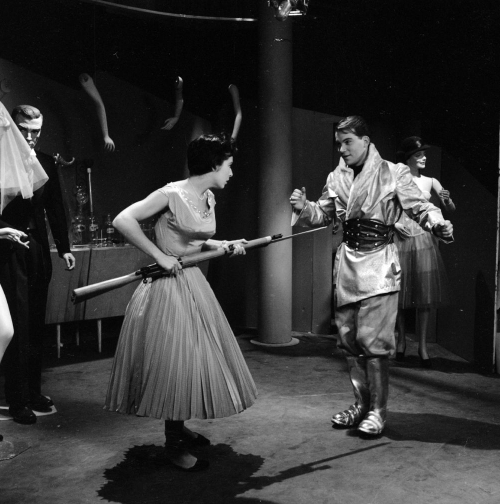 A new post about Shatner's beginnings at the Stratford Shakespearean Festival! I've had a few more posts go live on my site over the last several weeks. Most are "Year in Review" posts for years that Shatner had no televised appearances, but today I also posted a short entry for Space Command. Feel free to comment on the site, and there are also options for signing up to receive email notifications whenever a new post appears. If anyone is still out there, I've launched my own website dedicated to reviewing all of William Shatner's appearances that I can get my hands on, in chronological order. It went live last month, and hopefully I'll be able to ramp up on posting as we get into the Spring and Summer. I don't know if this commercial is shown in any other country, but a few days ago, I was quite happy and surprised to see William Shatner and Leonard Nimoy together on German TV.